Alan Chircop, Artistic Director of the European Foundation for the Support of Culture and of the Malta International Music Festival organised by the Foundation, returned to meet the Press the day after the memorable performance by Maxim Vengerov at the Mediterranean Conference Centre to introduce the soloist of the day’s concert, violinist Ray Chen. A short video presentation promising a very fine performance in the evening followed this introduction. 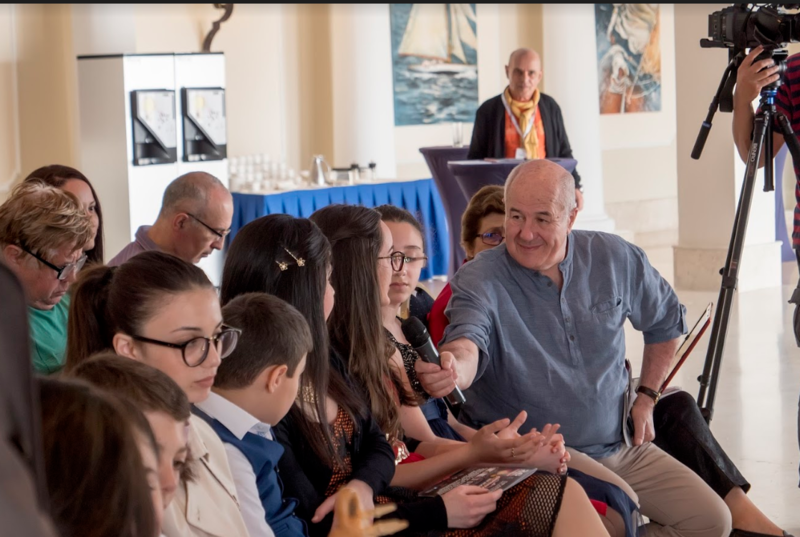 Also present at the conference were seven very young performers – three Maltese and four Armenian from “Culture and Art” Foundation – who were taking part in 4 concerts, each with a different programme, as part of Armenian Cultural Days in Malta taking place throughout this week. Alan Chircop introduced each one of the participants to the audience. Ray Chen said that having arrived yesterday he had time to see some of the highlights of the Malta. He feels honoured to be performing A Shor’s Seascape. Having been brought up in Brisbane he feels some kinship with the sea. He finds in the music a strong Russian influence which combines interestingly with the Mediterranean influence. Ray Chen started his violin studies following the Suzuki method of teaching. He was asked about the advantages, if any, of this method of teaching. Chen said that he is aware that this method of teaching has many critics. He feels, however, that it opens up to the young performer the social aspect of performing so that he or she learns how to work with others and learns to face the public. This method, however, is only meant for beginners. At some point the performer must graduate to the more traditional method of teaching. He himself was 12 years old when he thought that he might like to have a career as a professional performer, and that is when the really hard work starts. Ray Chen feels that as a musician his warranty is to perform the classics as well as the works of modern composers on stage. But he also feels the need to be an ambassador for music. Working with a younger generation is very important and this is something that he really enjoys doing. Many musicians have inspired him. Vengerov, for example, with whom he first became acquainted when he was 15 years old, was a big source of inspiration for him. Eventually Vengerov brought him to Russia and made him familiar with Russian music. Learning about other people’s cultures and histories is part of a musician’s remit. It is for this reason also that he keeps a strong presence in the social media which is nowadays essential for purposes of communication. Music needs to keep up with such methods of direct contact with its clients. The concert should remain traditional but outside the concert hall one can do many things to communicate especially with the younger generation. Chen has tried his hand at conducting but he is not really happy with this since while as a performer he feels that he can get very close to the kind of performance that he wants to achieve while as a conductor he can only get a small part of this. Conducting, he said, requires energy and precision as well as dependence on others. Playing on a great instrument like a Stradivarius is very fulfilling for the performer, but having a Strad is also a huge responsibility, especially in places where it is not covered by insurance. So he has been experimenting with other instruments and now owns two modern violins with which he has created a wonderful relationship. The important thing in performance is believing in what you are doing. It is one’s belief in one’s musicianship that brings out the sound and not the belief that the sound is the result of the kind of instrument that one has in hand. Any instrument can sound good provided it projects well. He thinks that it is great to see the names of so many friends, whom he has already met at a number of international festivals, on the programme. It certainly cannot get better in terms of string players. 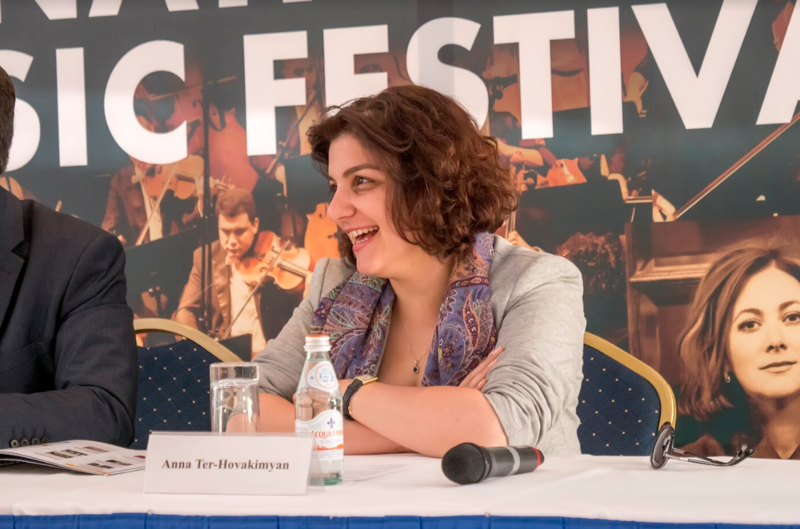 He also asked how the Festival had managed to rope in the pianist Sokolov since he was under the impression that Sokolov did not like flying. Alan Chircop said that this was the second time that Sokolov was participating in the Festival. He recounted how last year, rather than having to change planes on his way from Milan, albeit in first-class comfort, Sokolov had purchased his own ticket from a low-cost airline and had arrived in Malta unannounced. In Europe, Chen said, attending the major international festivals is considered a guarantee of success. 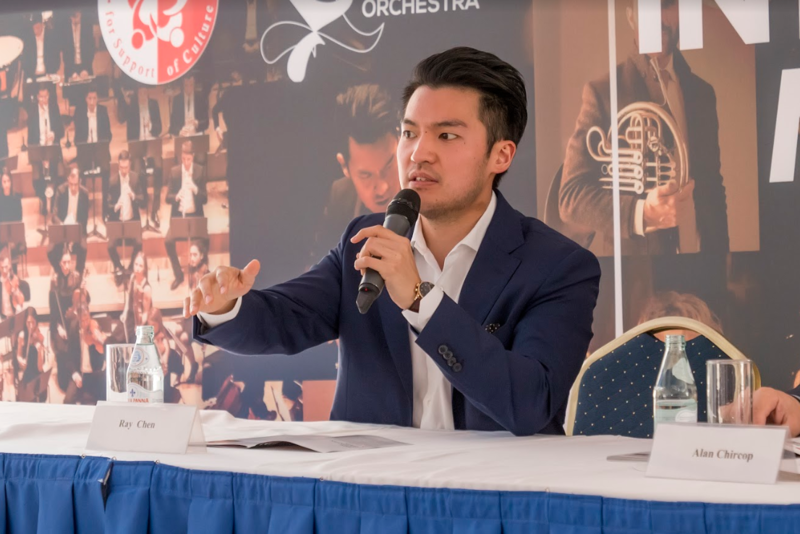 Chen added that performing with the Armenian State Orchestra has been a wonderful working process. He came across the Orchestra and its conductor in various festivals but had never actually heard it perform. Meeting it felt like meeting somebody whom you considered to be an old friend, but whom you had never actually met. 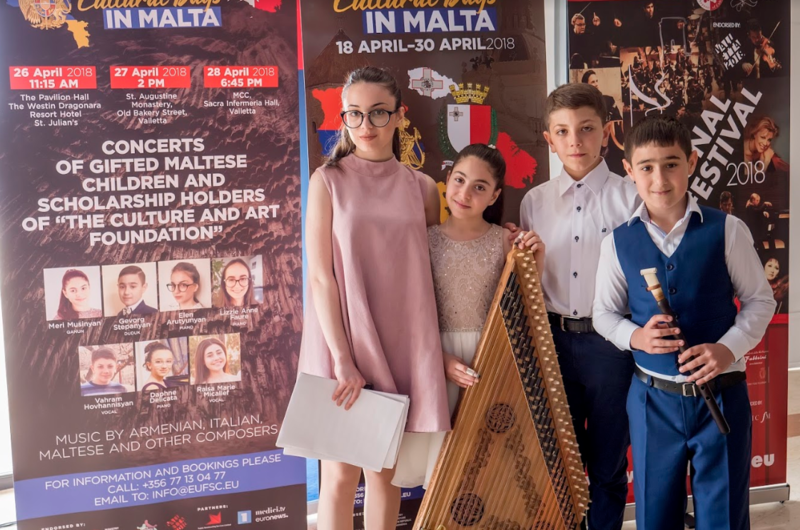 The young Maltese and Armenian performers all agree that performing together is an enriching experience that promotes friendship. It is important to see other perspectives and they are all happy to be open to the rest of the world. Alan Chircop thanked the participants and invited them to the the evening’s concert. 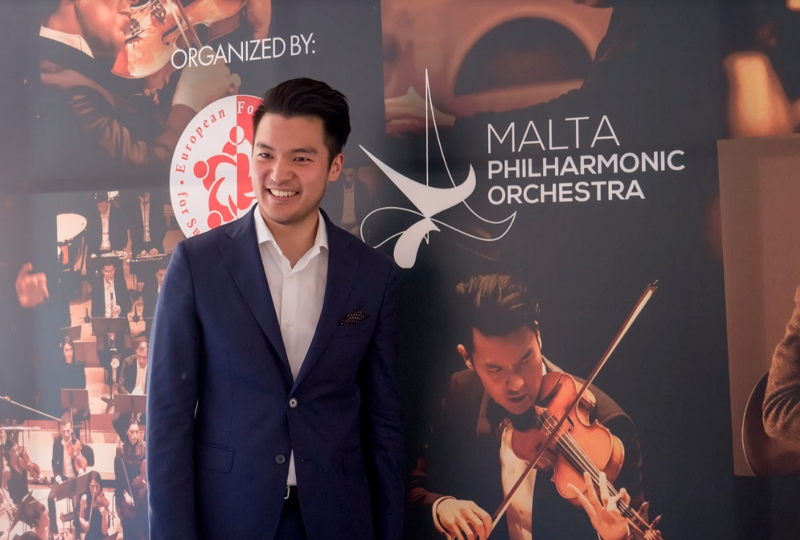 He emphasised the fact that the Foundation is very happy to provide opportunities for young persons and particularly thanked Ray Chen for giving master classes to both Maltese and foreign youngsters.